Prestley Snipes: Producers Tagging Beats: Has It Gone Too Far? You shouldn't have to sell people on your music. 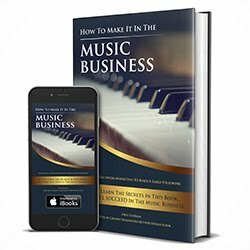 If your music is good, people will be sold. In this video, I talk about producers putting tags on their beats. There is nothing wrong with promoting yourself as a producer and artist. This channel focuses on marketing. It recently has become very popular in the past few years, for producers to have their own signature "beat tag". A "beat tag" is a soundbite, usually of the producers name being said, usually before the artist begins to sing or rap over the music. The beat tag has become very popular in recent years and it has helped to bring fame, to the once obscure, music producer. In the past, producers gained popularity, by creating their own signature sound, as well as by connecting with rising or popular artist, with the goal of creating good music. Music production equipment, was a lot more expensive in the past, which created a void of music producers. Nowadays, with only a laptop and Fruity Loops software, anyone can now produce high quality sounding music. With ease, the ambitious producer can emulates their favorite producers, which then creats an influx of, copy cat sounding music. These producers are making these rushed beats, and the only thing that separates these mediocre beats, are the producer's unique beat tags. The beat tag helps the producer to be identified in the sea of copy cat sounding beats. In my opinion, a beat tag is not necessary. I've heard some beat tags that turned me away from listening to a song. I would suggest using your best judgement, if you are using a beat tag. As long as you try your best to be as original as possible, people will recognize your beats and your sound. Quality work cannot be denied. If you use beat tags, do not be offended. I'm just giving a different perspective on how I feel about some beat tags, that I hear. There are some beat tags, that I think, sound good with the music. There are others that I feel, should be taken off the song. This is just my opinion. You must take everything into consideration, if you plan to succeed.